While both of these teams lost their game, the nature of the defeat couldn’t have been more in contrast. Alba Berlin went down to a defeat with the final shot of the game while reigning champions Maccabi Electra Tel Aviv were thoroughly dismantled by CSKA Moscow. The Russian side were aiming for revenge against CSKA after the semi-final defeat in the Final Four, and they exacted some level of justice for that shock reversal. In saying that, it is Alba that sit bottom of the table with a 0-2 status while Maccabi hold on to a 1-1 standing. Bet365 are finding it difficult to prise the teams apart and they just have Maccabi with a slight edge. 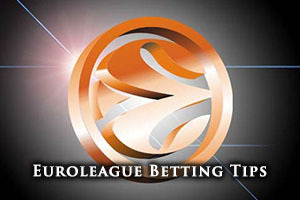 When you think that Maccabi are the reigning champions, you would think that they would be receiving more favourable odds but the fact that the triumph was seen as a bit of a surprise and their triumphant head coach is now in the NBA means that this is not an all-conquering champion like some years in the Euroleague. With 6 players who scored double figures in their last match, Berlin know what it takes to get the ball into the basket. This may suggest that it is their defence that they need to tighten up but if Marko Banic can replicate his 16 points and players like Alex King, Reggie Redding, Jamel McLean and Cliff Hammonds step up once again, there is every chance that the German side can grab their first win of the campaign. Brian Randle was the top man for Maccabi last time out with 18 points and he was ably assisted by Sylven Landesberg and Guy Pnini. Again, it is clear that Maccabi know the way to score points but as both teams have a negative points total at the moment, it is clear that defences need to improve. Then again, as basketball fans, we want to see points scored so hopefully the defences won’t be on top too much. If you are looking at the handicap betting for the match, it is a very slim margin. Bet365 is calling it that Berlin with a +1.5 handicap are prices at 1.90 and Maccabi are priced at 1.90 with a -1.5 handicap. With respect to the Over/Under market, the 1.90 split comes at 156.5. This is at the higher end of the Over/Under market that Bet365 is offering for games being played out on the 30th of October so there is clearly expectations of points being scored in this match. Given that the match is likely to be so tight, and home advantage may come into it, taking Berlin with the handicap bet is likely to of benefit and interest to basketball betting fans. Mind you, with the last seconds drama associated with Berlin’s last match, this may not be the sort of game where you want to bet on such a narrow margin.